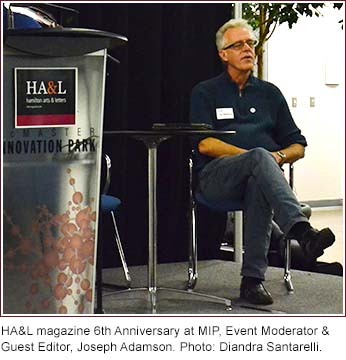 Joseph Adamson is HA&L magazine's guest editor for issue seven.2: THE MODERN CENTURY. Northrop Frye wrote The Modern Century at the height of his influence in literary studies, and at a pivotal point in his intellectual career. It was a momentous time in history: the ongoing cold war, the Vietnam war, the peaking of student protest, an emerging revolution in popular music and culture that continues to define us, and the rise of television and electronic media. Northrop Frye (1912-1991) is arguably the most important intellectual Canada has produced and one of the most influential literary critics of the twentieth century. In this issue contributors have been invited to address and/or interpret The Modern Century and frame Frye's lasting influence on contemporary culture.